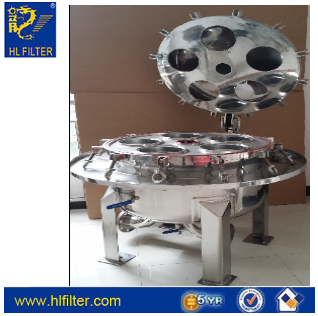 Multi bag filter, suitable for large flow liquid filtration. From 2# to 24# bag bag, complete specifications, and the diameter is 3"- 18", the maximum flow rate is 90-1080m³ /h. Can provide quick design, bag replacement is very convenient. Also apply to the use of longer time to replace the bag only after the occasion. Also according to customer requirements, can be provided with a hanging manual, hydraulic lifting, suspension spring assisted, spring assisted, balance, and other forms of open a closed device, in order to meet the use of different users.